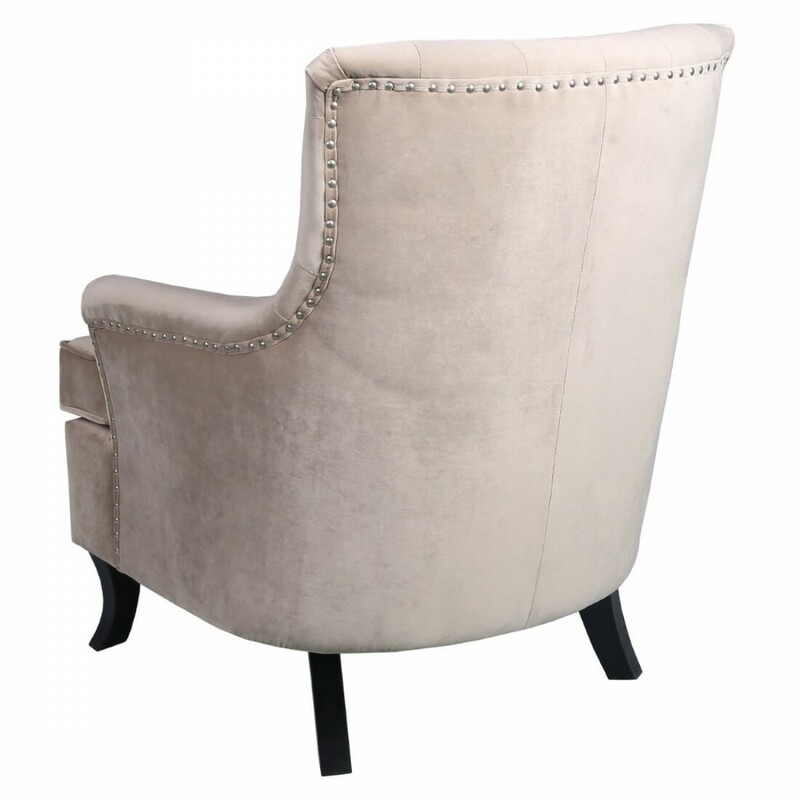 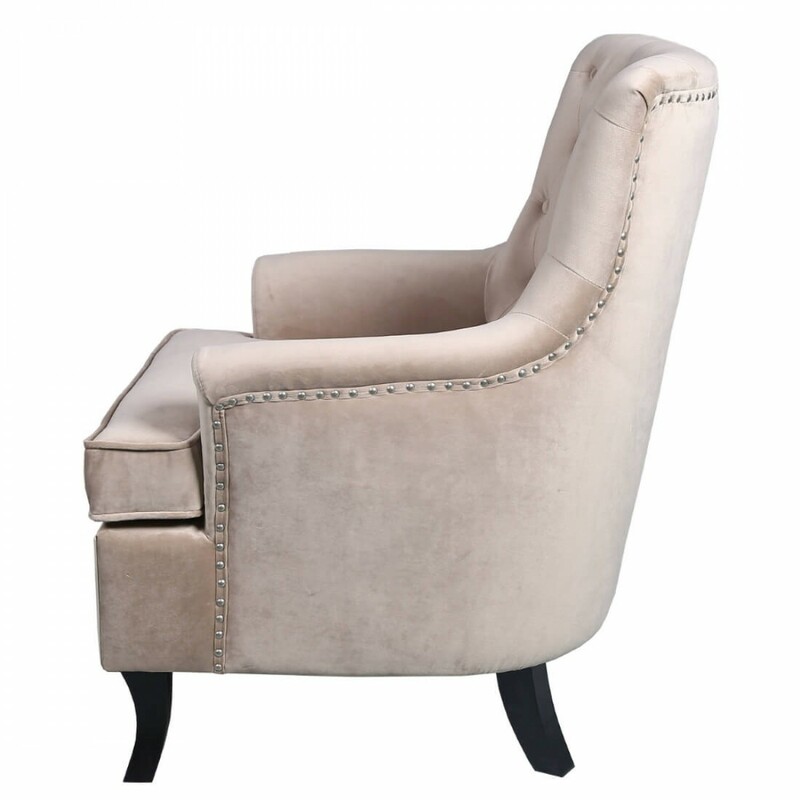 This welcoming armchair features bags of charm with buttoned upholstery and studded detailing. 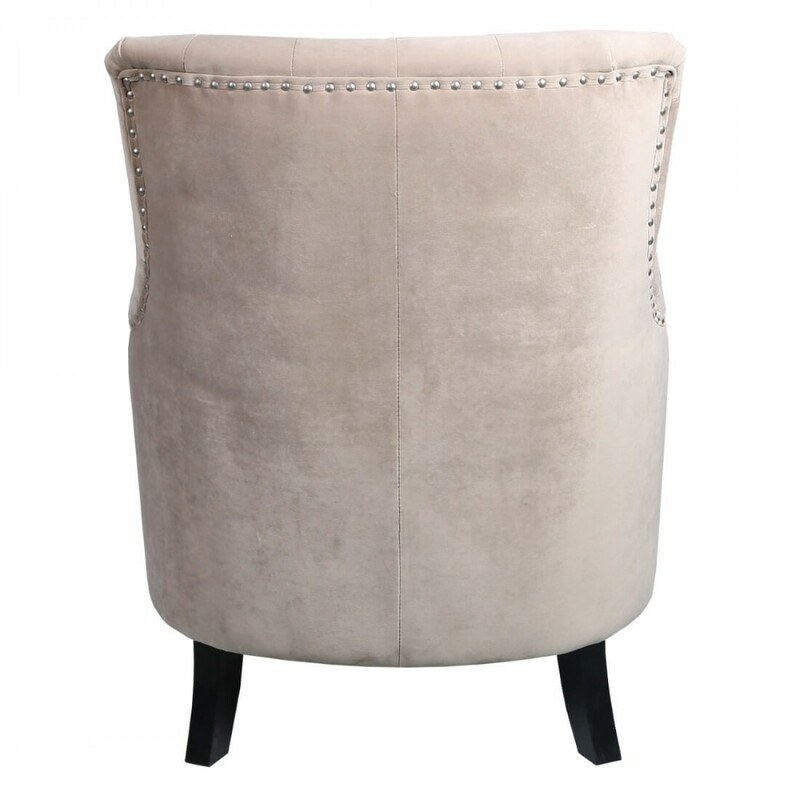 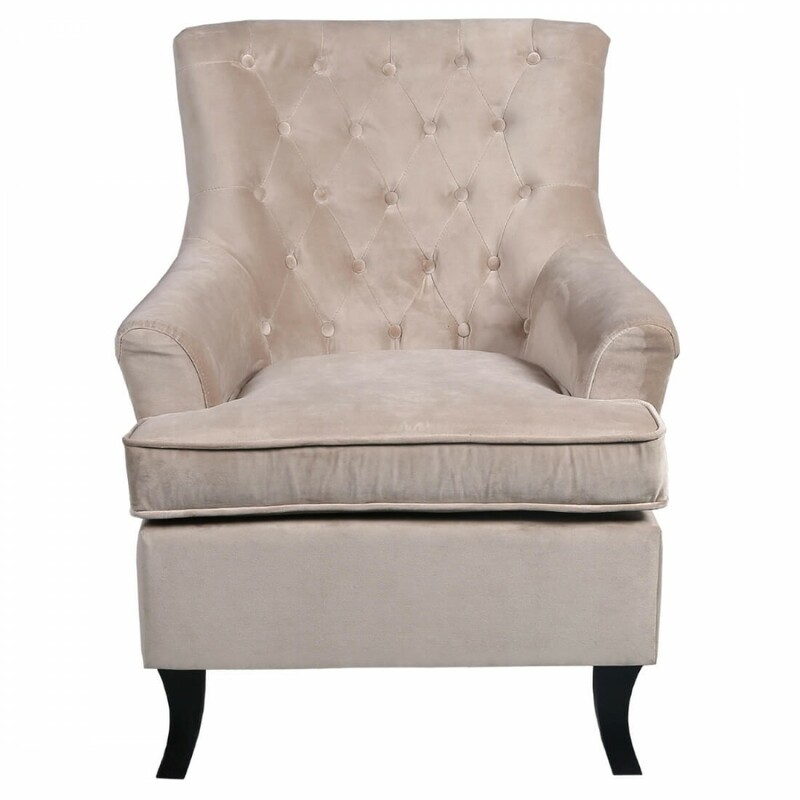 Upholstered in a fabulous Mink brushed velvet fabric. 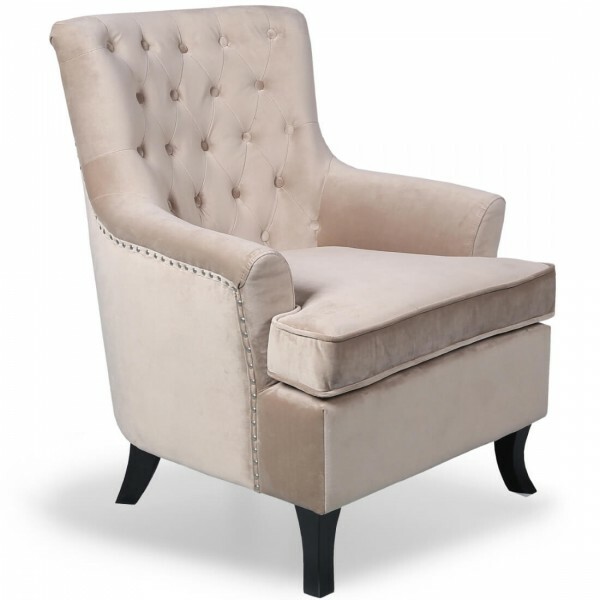 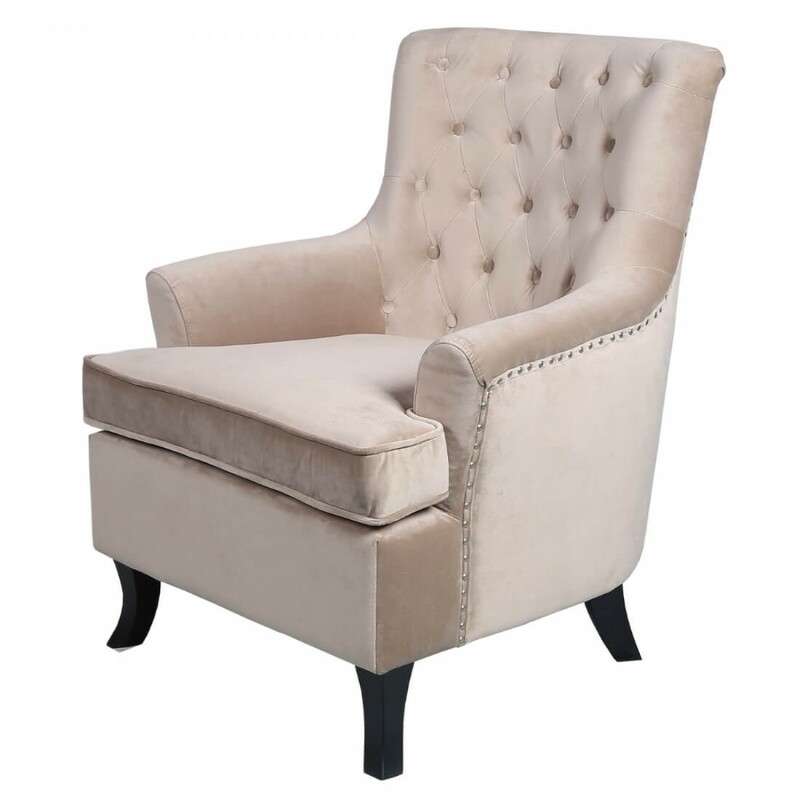 The armchair combines style and comfort making it an eye catching addition to any room.